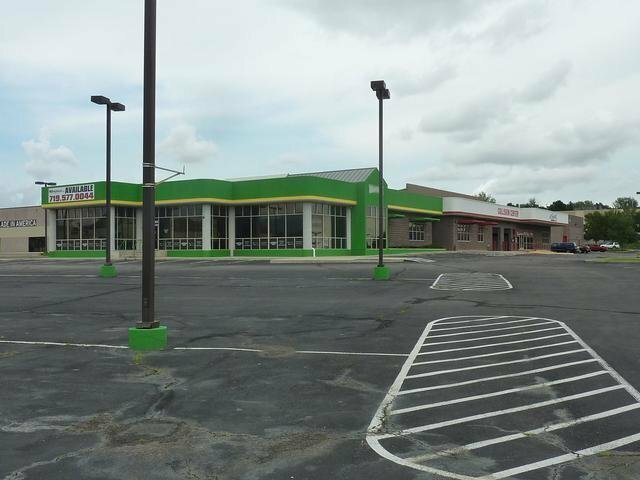 The current showroom/office(±8,810 SF) with excellent visibility and access to N Academy Blvd is available for lease. 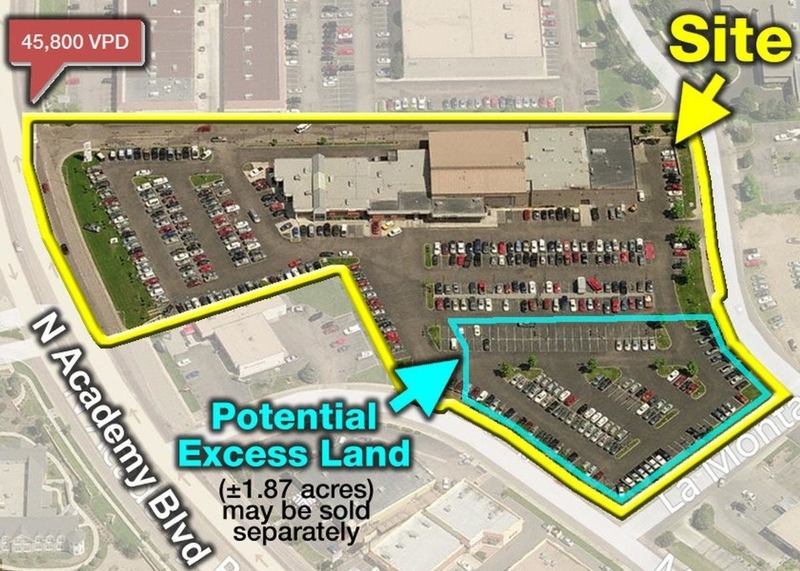 Excess land (±1.87 acres) is available for sale at $4.50 PSF. 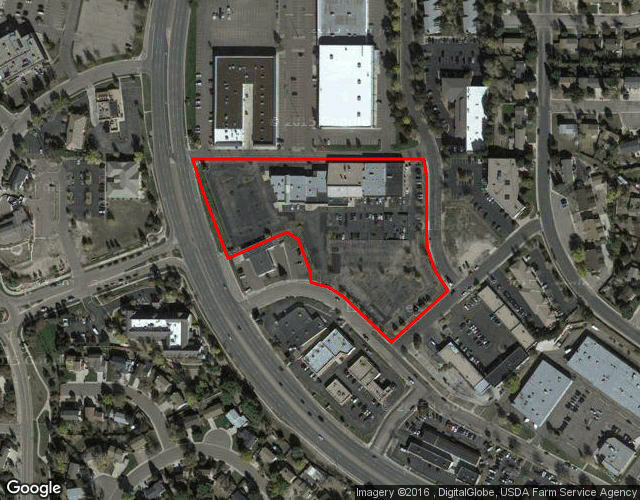 The rear portion of the property (±27,264 SF)is leased to Larry H. Miller Collision Corporation.